Wisconsin Chimney Technicians provides unequaled chimney repair and rebuilding services in Delafield. Our years of experience and highly qualified staff ensure your chimney stays in top shape and doesn’t become a hazard to you or your home. We are a full service chimney company capable of everything from basic inspections and cleanings to full chimney replacements. The cool autumn nights and cold winter days keep Wisconsin fireplaces busy. Keeping up on chimney maintenance and repairs is essential to your homes safety. Over time soot and creosote build up inside your chimney. These are natural byproducts of heavy chimney use but over time will cause problems if you don’t clean and maintain your chimney properly. Soot and creosote not only damage the lining of your chimney but pose a fire hazard if not regularly cleaned. 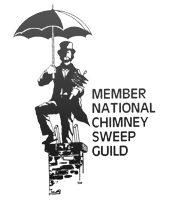 Keep your home safe and your chimney in great condition with annual Delafield chimney sweep services from Wisconsin Chimney Technicians. Moisture and leaks are one of the most damaging things a home will encounter during its life. Chimneys and fireplaces are especially susceptible to water leaks and damage. Simple and easy steps are available to prevent leak damage to your chimney. The best way to prevent this damage is with a galvanized chimney chase cover from Wisconsin Chimney Technicians. A chimney chase cover, in addition to leak protection, will keep debris and animals out of your chimney ensuring an unclogged escape route for smoke from your fireplace. A chase cover also prevents rain from going straight down your chimney and collecting in your fireplace when not in use. Keep your chimney looking and working like new with our leak prevention and repair services. Keeping your chimney chip and crack free saves you money and extends your chimneys service life. The Delafield chimney experts at Wisconsin Chimney Technicians have the experience and equipment to keep your chimney in excellent condition. Cracks and damaged mortar are minor problems but left unattended can cause major damage to your chimney. The courteous experts at Wisconsin Chimney Technicians will keep your chimney looking better than new and functioning perfectly. Whether you need some minor touch ups or a full rebuild Wisconsin Chimney Technicians can handle all of your Delafield chimney repair needs. 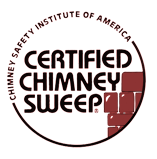 Make sure to keep your chimney in prime condition with an annual inspection from southeastern Wisconsin’s best chimney sweeps and repair services. An annual inspection keeps your chimney running well and identifies any issues needing to be addressed. 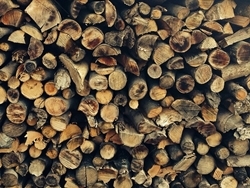 We inspect your entire system including the flue, lining, and fireplace or woodstove. Wisconsin Chimney Technicians also offers specialized inspections such as lighting strike, chimney fire damage, insurance company assessment, and real estate evaluation to homeowners. Poor dryer ventilation is an often overlooked problem. A clogged dryer vent makes your dryer work harder for longer. When lint clogs the vent, the dryer has to work harder to push the warm exhaust air through the clogged vent. Not only does this strain your dryer and cause it to wear prematurely, it also slows your laundry down and adds to your electric bill. More seriously, blocked dryer vents can cause fires in the vents themselves or in your dryer. Milwaukee Chimney Technicians’ team of highly skilled chimney sweeps will quickly and easily clean your dryer vents, keeping you safe from fire and your dryer running as efficiently as possible. Contact the Delafield chimney service experts at Wisconsin Chimney Technicians today for superior repair, rebuilding, cleaning, and inspection services.